SharePoint Hybrid Environments offer flexibility for businesses that are not ready, able or willing to move all of their existing content to SharePoint Online. Whether it is because of current customizations, third-party solutions and integrated legacy applications that aren’t available or supported, or it is due to regulatory and compliance restrictions, hybrid environments may be the answer for an organization weighing the benefits of moving to the Cloud. Hybrid Environments let businesses migrate content that they want to move and can move to SharePoint Online while keeping the rest on-premises and ties the two together. For the end user, the experience is unified and seamless. Hybrid Environments can be useful for many scenarios including Gradual Migration, Regulatory Restrictions, Unified Search, Business Connectivity Services (BCS) and Business-to-Business (B2B) Extranets. For organizations that have highly customized SharePoint environments, an all in approach may not be feasible for migrating to SharePoint Online. 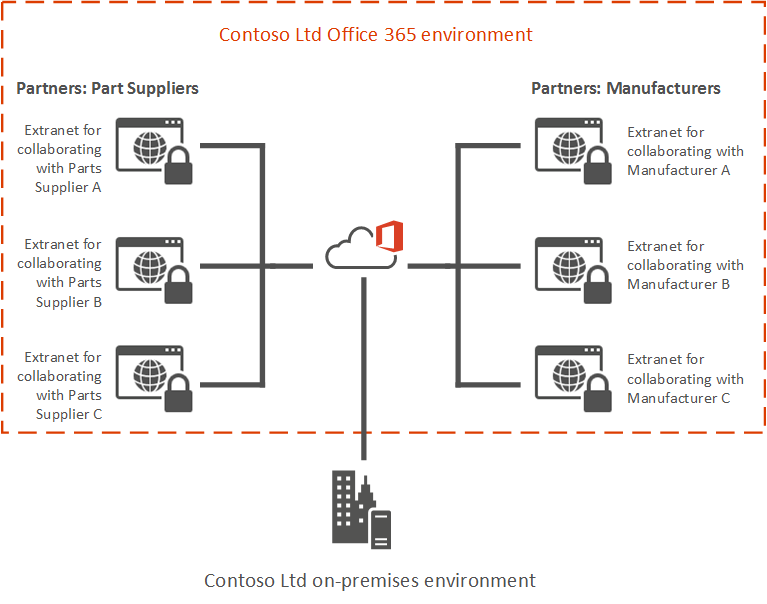 Businesses often utilize custom solutions, third-party products, and legacy applications in their on-premises environments that are either unsupported, unavailable or missing from SharePoint Online tenants. For these instances, implementing a hybrid approach can help soften the impact of the migration and drive better adoption for the user base. An incremental migration using the Hybrid model allows businesses to keep their customized solutions in their on-premises environments while moving the rest to SharePoint Online. Over time, developers and IT can upgrade, recreate or replace these unsupported solutions and gradually phase in the new ones. This process helps mitigate the up-front costs and risks while ensuring a smooth transition for the user base. In some organizations, a complete move to SharePoint Online is just not possible. The reason may be due to Regulatory or Compliance restrictions that prevent the business from storing some content in a multi-tenant environment. 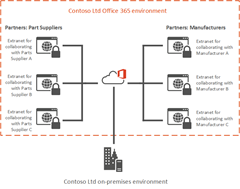 Fortunately, with the use of a Hybrid Environment, businesses can comply with Regulation Standards by storing sensitive data in their SharePoint on-premises farms and saving the rest to their SharePoint Online tenant. 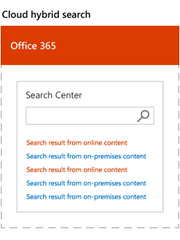 By configuring Hybrid Search, users can seamlessly search against both SharePoint On-Premises and SharePoint Online content. The most common usage of Hybrid Environments is for the Hybrid Search mechanism. 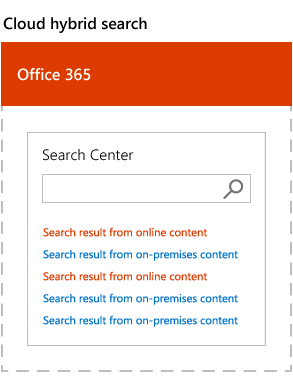 Hybrid Search comes in two flavors: Cloud Hybrid Search and Hybrid Federated Search. Cloud Hybrid Search is the newest (at the time of this writing) of the hybrid search models and is the Microsoft recommended model. In this model, SharePoint Online maintains the search index for both the On-Premises and Online environments. This approach gives the user a singular, unified search experience and allows the user to search against both sources as if it were one. 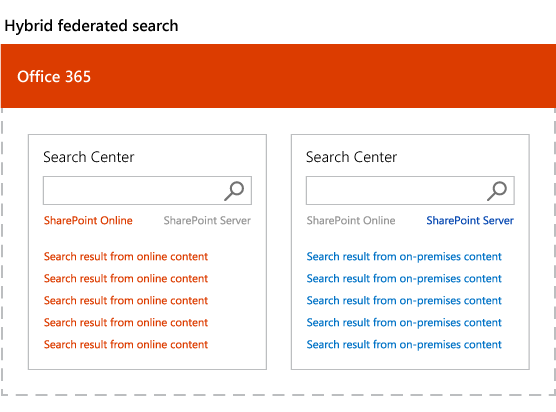 In this case, search results are perceived to be from one source because the content from both SharePoint Online and On-Premises is inline. This model does not require a reverse proxy because users will always be searching against the SharePoint Online index. However, to enable the Document Preview functionality for documents located in the SharePoint On-Premises environment, a reverse proxy is required. Hybrid Federated Search is the older hybrid search model, which uses two separate indexes. SharePoint Online maintains an index of its content, while SharePoint On-Premises retains its index. When a user searches, he or she must select the source to search against so that the search query is sent to the proper environment, i.e., online vs. on-premises. Hybrid Federated Search requires a reverse proxy to handle unsolicited search queries to the SharePoint On-Premises Environment. 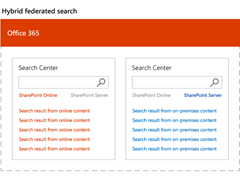 In this scenario, an unsolicited search query is a request that was not initiated by the SharePoint On-Premises environment, e.g., when a user searches against on-premises content from SharePoint Online. Business Connectivity Services (BCS) helps businesses create an integration point between SharePoint and external data sources, such as SQL Server Azure Database and WCF web services. BCS enables users to interact with external data from within SharePoint by leveraging the familiar SharePoint List interface. A benefit to this approach is that developers need only develop the CRUD operations, while SharePoint handles the User Interaction and look and feel. To the end user, the data appears as if it is a list created within SharePoint, but behind the scenes, SharePoint sends the operation requests to and from the external data source. The main benefit to BCS is that there is no duplication or syncing of data required between systems; it is merely exposed and surfaced through SharePoint. BCS for SharePoint Online requires a reverse proxy to relay requests from a SharePoint Online tenant to the SharePoint On-Premises environment. Organizations that want to set up Extranets for their partners, but find that setting up the additional infrastructure, configuration, and maintenance to be cost-prohibitive, may discover SharePoint Hybrid Environments to be the perfect fit. Extranets require much care and consideration; from Security and Auditing to Infrastructure, Support, and Maintenance, the effort and cost needed to set-up and keep the extranet running can be high. Enter SharePoint Hybrid. The IT group can host the Intranet internally while setting up SharePoint Online sites for the organizations’ external partners. With a couple of clicks, IT can configure SharePoint Online to allow sharing with external, user accounts. 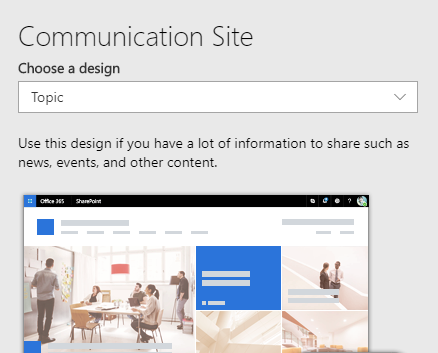 In a matter of minutes, business users can set up and configure Partner sites to specification (see SharePoint Site Design and Site Scripts). With the configuration of SharePoint Hybrid Search, the business’ internal users can quickly search between both the Intranet and Extranet, further driving up user productivity. Whether you want to make a move to SharePoint Online gradually, have regulatory restrictions, want to implement custom processing rules, need to integrate external data or collaborate with external partners SharePoint Hybrid Environments can be a great, cost-effective solution. See how Tallan can help you get there by contacting us today. Thanks for sharing nice information..it was very helpful.